Happy Bellies offers menu plans for those on The Body Ecology Diet (B.E.D. ); each one adjusted to individual health/dietary needs, age, activity level, taste preference, and even blood type. Menu plans are free of ‘gluten-yeast-sugar’ and include nutrient dense food with an emphasis on stocks and soups; land and ocean vegetables; seed-like grains; wild fish; pastured meat; and probiotic food. Enjoy a variety of B.E.D.-friendly entrees and side-dishes with snacks in between each meal that can be eaten throughout the busy week. Meals contain simple ingredients that are harmoniously prepared using the principle of food combining and with a focus on healing the inner ecosystem. Menu plans are a valuable tool that can be enjoyed by the whole family week after week, despite individual dietary and health needs. One of the biggest challenges faced by most individuals who begin B.E.D. is turning the nutritional recommendations into daily menus that can be easily followed and adhered to. Tara does the work of menu planning for you. Tara Carpenter is a Nutrition Consultant (NC) specializing in digestive health with experience as a Therapeutic Chef. She personally used B.E.D. to heal systemic yeast overgrowth and has been making cultured food and practicing food combining with her family since 2010. “You are in good hands with Tara.” ~ J.S. Worcester, VT. 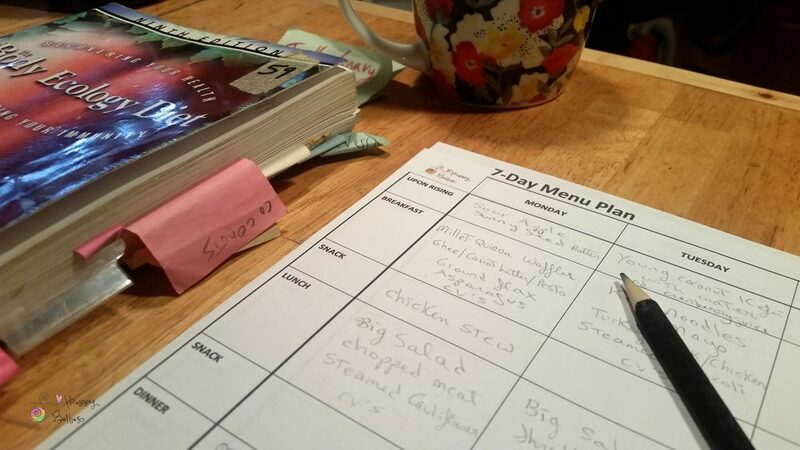 Struggling with a health issue and the daily task of planning B.E.D.-friendly meals. Healing a digestive imbalance and wants soothing, easy-to-digest meals. Temporarily unable to cook and wants a plan in place for a chef or friend to follow. On an extremely limited diet and wants diversity (i.e. SIBO, SIFO, enteritis). Pregnant and wants a menu plan in place for their postpartum healing. Pregnant and wants to avoid a GBS+ diagnosis and antibiotics at birth. A parent of kids on the diet who wants delicious (healthy) food for the pickiest of eaters. A busy family who wants a plan for easy-to-pack lunches and home-cooked meals. Ready for new ideas to freshen up existing daily habits. Curious to sample a menu plan before attempting to create their own. Below are ways that individual dishes can be combined into a variety of satisfying B.E.D-friendly meals. Each meal is properly combined using the 80/20 principle and contains alkalizing ingredients. See Ingredient Disclosure for a list of foods avoided on each menu plan. Steak stir fry with watercress soup, parboiled salad topped with lemon dressing. Millet croquettes with broccoli bisque, steamed green beans, arame, pickled onions. Broiled salmon with baby corn, daikon, spring salad topped with rosemary vinaigrette. Lima bean succotash with roasted delicata squash, curly kale, zesty Brussels sprouts. 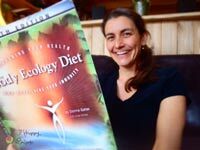 Are you ready for The Body Ecology Diet to get easier (and healthier)? Fill out B.E.D. Menu Plan – Intake Form to determine menu selections. Pay via PayPal or personal check here. Tara will create menu plan in draft form (5-day plans will be done together). Meet for a consultation by phone/Skype to review plan and finalize adjustments. Receive choice of 3, 5, or 7-day customized menu plan. Follow up with an email correspondence upon the arrival of menu plan. Please allow up to 4-6 weeks for the preparation and delivery of your menu plan. Below are the customized menu plans that Happy Bellies’ offers; please contact Tara before booking if there will be more than one person on the meal plan. 3-Day Menu Plan + Recipes ($250). Lighten up your cooking load with plenty of room to get creative throughout the rest of the week. Includes a ‘recipe booklet’ that can be printed out for easy access. 5-Day Menu Plan ($200). This option is good if you are looking for a more affordable way to receive a plan. You will put together a menu with Tara’s help during a 75-minute consult by phone or Skype. Recipes not included. 7-Day Menu Plan + Recipes ($400). Make meals easily with an array of dishes that can be rotated in new ways and served week after week. Includes a ‘recipe booklet’ that can be printed out for easy access. Note: Tara Carpenter, NC. is not a licensed medical practitioner and does not offer a medical service. Tara works in partnership with you to provide a healing menu plan that is customized to your unique dietary and health needs. Always consult with a qualified health professional before changing diet. If you have an acute health condition that is not managed, or you are severely restricted in the foods that you tolerate, please contact Tara before booking a menu plan.